Large portions of state, town and city budgets go toward funding our schools, but currently many districts are facing declining enrollments, deteriorating buildings and cuts in municipal aid. It all comes at a cost that can affect our kids. There are more than 200 school districts throughout Connecticut, some of which have multiple superintendents and multiple school boards. Large portions of state, town and city budgets go toward funding our schools, but currently many districts are facing declining enrollments, deteriorating buildings and cuts in municipal aid. Diana Torres, her husband and children moved into their Torrington home two years ago after searching for a neighborhood with a great school. “It was really important for us to buy a home we loved, and find a school nearby that our kids were going to love, and had good ratings,” Torres said. They chose their neighborhood mainly because of the elementary school that their sons Felix and Jacob now attend. But because of declining enrollment, the family has learned that their school, East Elementary, will close at the end of the school year. With the closing of East, the district is restructuring into sister schools. They include, on one side of town the Vogel-Wetmore school for kindergarten through third-grade students. Fourth and fifth-grade students will attend Southwest. In the other part of town the Torringford School will serve kindergarten through third-grade students, while Forbes schools will house fourth and fifth graders. It’s a decision that Torres believes comes at a price. Diana’s son Jacob will no longer be right around the corner from his elementary school. “He’s not used to change. I’m scared it’s going to impact him grade-wise,” said Torres. The school district’s decision to consolidate its schools is sending the family packing. “We’re going to sell our house, just because we’re not happy with the decision the BOE made, and we pay a lot of taxes into the town,” Torres added. Torrington Superintendent of Schools, Denise Clemens, told the NBC Connecticut Troubleshooters the district is not involved in any current discussions to join forces with any other district despite their financial issues. 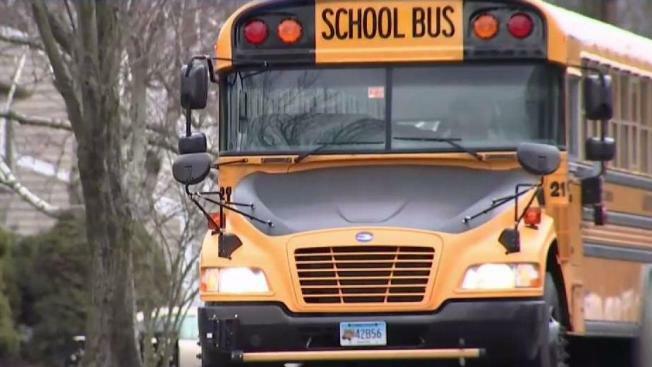 The district is one of many in Connecticut facing similar issues including declining enrollment, fewer state dollars and possible school closings. In some instances, it is leading to schools restructuring and talks of cooperative arrangements between districts or even regionalization. GET MORE: The NBC Connecticut Troubleshooters reached out to every school district in the state to see how much each school superintendent gets paid. Click here to see the data. Jonathan Costa is the Assistant Executive Director with EdAdvance, one of the state’s six regional education services centers known at RESC’s. He said he is a neutral third-party facilitator who consults with districts for planning purposes, school improvement and discussions on merging districts and services. “As state government resources have shrunk, that’s putting more pressure on smaller districts,” said Costa. “Folks are spending a lot of money on systems that are clearly not very efficient. If they could take those same resources and invest in a more efficient system, there are probably more opportunities that could be availed to kids in that system,” he added. Could county government help solve the district’s financial and enrollment issues? “It would certainly be more efficient, the big fear is that small towns with local boards are very responsive to individualized resident needs,” Costa said. Costa believes the benefits to regionalization or collaborative arrangements between districts offer an opportunity to broaden a child’s educational experience at a more efficient cost. “Could the number of school districts in Connecticut be reduced and have the same level of service to students maintained? I think that’s clearly true, and there are models for it all over. The challenge is we have a long and storied history of doing it local,” Costa said. The majority of school districts in the state of Connecticut operate with one school board. But that isn’t always the case. Region 4 schools cover the towns of Chester, Essex and Deep River and has three elementary schools, one for each town. Each elementary school has its own school board and superintendent. The district’s Superintendent, Dr. Ruth Levy reports to more than 30 different board members. Their district has attempted to regionalize in the past, but voters stopped that from happening. Both towns involved in a school merge, would have to separately “green light” the move in a referendum vote. Dr. Levy said that while regionalization might be the right decision for some districts, she thinks the state needs to look at additional options for all districts. Options including what is a called a “supervision district,” which involves divvying up costs between the different school boards in their towns. For example, the schools share central office administration staff members and elementary school art teachers so those employees are able to work in more than one school. “I think more money could be saved, I think we could create better programming for students, Dr. Levy told NBC Connecticut. Lon Seidman, Essex’s Board of Education Chairman, said school boards are forced to work around the restrictions put in place by the state. The state allows the schools to share costs, but does not recognize the entity as a school district for the purposes of special education and other programming. “I think there is a perception that somehow these towns are not doing more to regionalize or work together because they just don’t want to, that’s just not the case. When in fact taxpayers are being asked to either maintain an inefficient structure or give up everything they have control over, and that’s not a choice for many taxpayers,” Seidman said. The NBC Connecticut Troubleshooters are taking a look at the high cost of local town living in Connecticut, in a multi-part series “At a Price!" Click here for our full coverage.